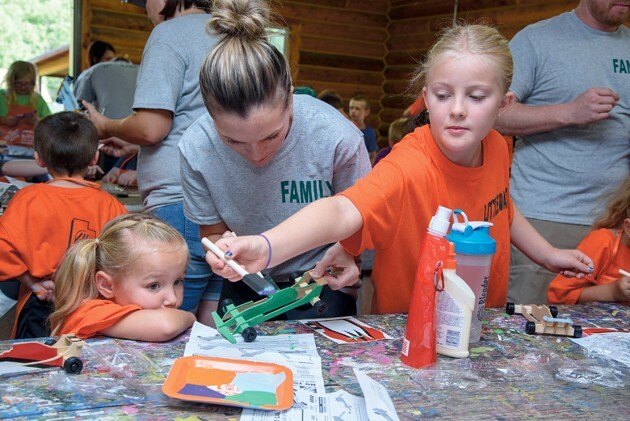 Alaira Packard and daughters Keira Larsen and Olivia Packard paint derby cars at Little Warriors Camp hosted at the Utah Elk’s Camp Wapiti in Settlement Canyn on Saturday morning. The camp is for children who lost a family member while serving in the military. 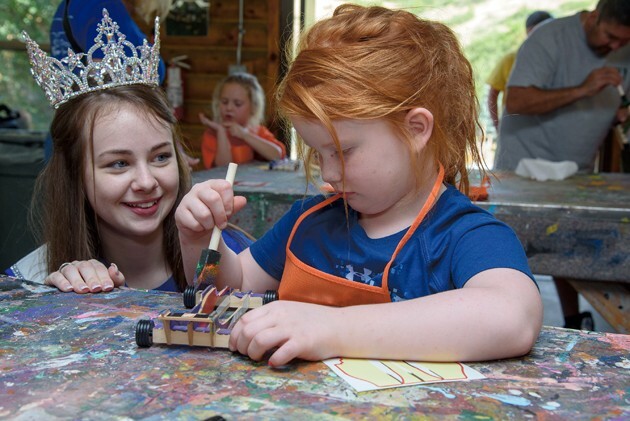 Miss Tooele City Marin Legge, watches Tesla Riddle, age 5, paint her derby car at Little Warriors Camp. Khaia Barton gets a helping hand from Brayson Fordham on the climbing wall at Camp Wapiti Saturday morning. 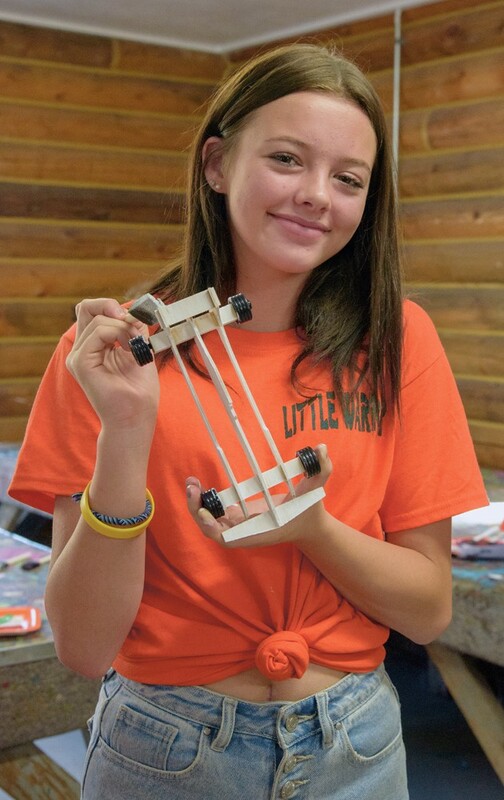 Kaydence Noel shows off her derby car that she assembled at Little Warriors Camp. 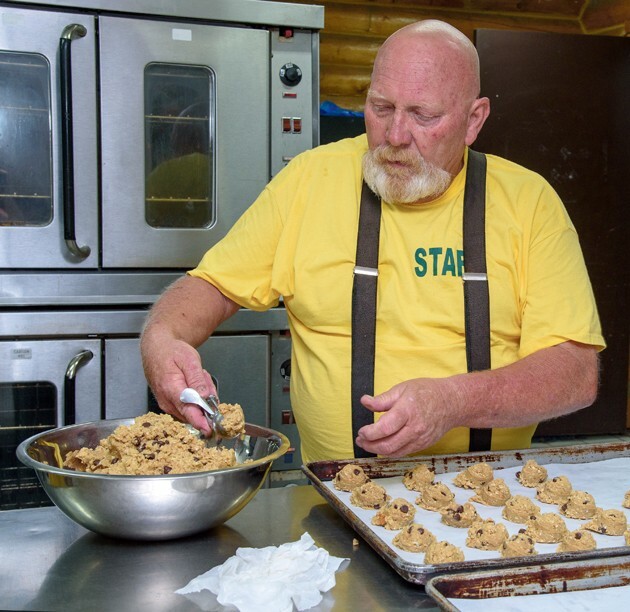 Utah Elk’s Association President-elect, Hortt Carter makes a big batch of cookies for lunch at the camp. 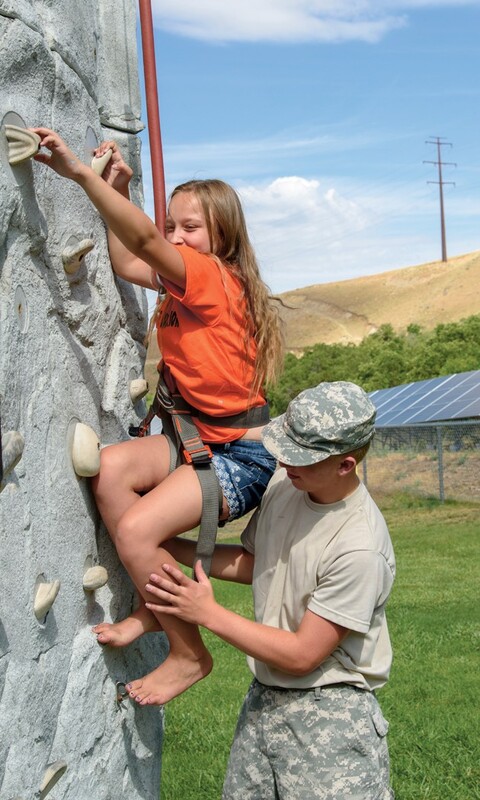 As part of the American Heroes Project, the Utah Elks Lodge sponsored and hosted the Little Warriors Camp at Camp Wapiti in Left Hand Fork of Settlement Canyon Friday through Sunday. 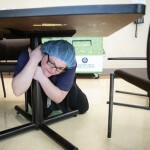 The camp is for children who have lost a family member while serving in the military. Approximately 50 children and their parents, grandparents and family participated in the annual event, which featured a weekend of recreational activities, such as fishing, shooting, archery, crafts, obstacle courses, zip lining, swimming and a climbing wall. Participants also enjoyed evenings around the campfire. The weekend retreat’s purpose is to create some healing for families who have lost a family member and to show them they are not forgotten for their sacrifice, according to americanheroesproject.org. Several local businesses donated food and supplies for the weekend, while dozens of local citizens and others volunteered to make the weekend a success for the children.